Commercial driveways and asphalt areas like parking lots are more susceptible to damage over time than residential driveways. This is largely due to the greater number of vehicles, trucks and machinery that are driven over them. The vehicles are often carrying heavier loads too. This additional pressure across the whole area of your driveway can cause the asphalt to crack, leading to an unsightly and unprofessional looking business. This is why having your commercial driveway properly sealed is essential for any business. The team at Action Home Services has the skills and training to seal the driveway of your business so that you do not need to worry about cracks forming in the asphalt for a long time. We see it as a top priority for our customers to be completely satisfied with the work that we do. We do not consider a job done until we are certain that all of your needs have been heard, and acted upon. With many years of experience sealing commercial driveways, you can be confident in our ability to do the job right the first time. As with any asphalt sealing project that the Action Home Services team undertake, we begin by clearing the area of any debris. Without this step, the driveway sealant won’t stick properly to the asphalt. By taking the time to make sure that the area is prepared properly for the driveway sealant, it guarantees that the sealant will adhere properly to the parking lot. Once the parking lot sealing process has been completed correctly, the sealant will be able to protect the asphalt as designed. Any asphalt sealant company in Canada that does not fully prepare the surface is inviting cracks and potholes to appear in the parking lot. Having the asphalt of a parking lot professionally sealed gives a business a really professional look. This also sets the stage perfectly for any parking lines, directional arrows and symbols to be painted onto the fully sealed asphalt. 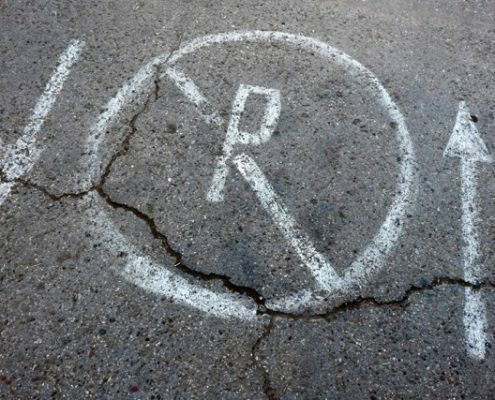 When repairing a crack in any asphalt, it is important to make sure that the area is clear of any unwanted materials so that the material used to fill the crack is able to stick properly. Once the crack or pothole has been thoroughly cleaned and any loose debris has been removed the filler is applied by one of our skilled experts. Once all of the cracks in your asphalt have been repaired, you can then have the whole area sealed so that no cracks or potholes develop in the future. The smaller the crack, the easier it will be to fill and repair, if cracks in the asphalt are left to grow it can become a more extensive repair procedure. Addressing any small cracks or indentations as they develop is a much more cost-effective solution to your driveway and parking lot needs. 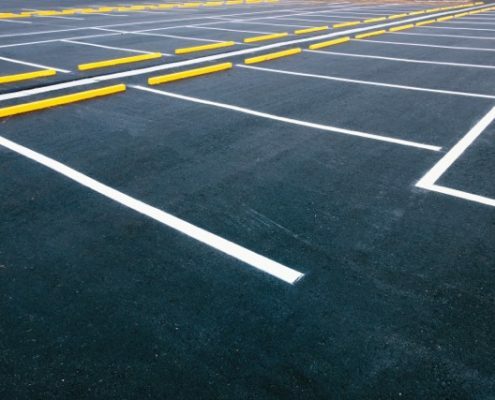 If you do not have any cracks in your commercial parking lot or driveway yet, it is recommended that you have it professionally sealed to avoid any developing. This is a proactive solution that can help to keep your property looking good all year round. Action Home Services is an experienced and certified asphalt sealing contractor serving Toronto, Markham, Vaughan, Thornhill, Concord, Scarborough, Brampton, Mississauga, Burlington, Oshawa, Richmond Hill, Milton, Oakville, Aurora, Caledon, Pickering, Whitchurch – Stouffville, Ajax, Whitby, New Market.